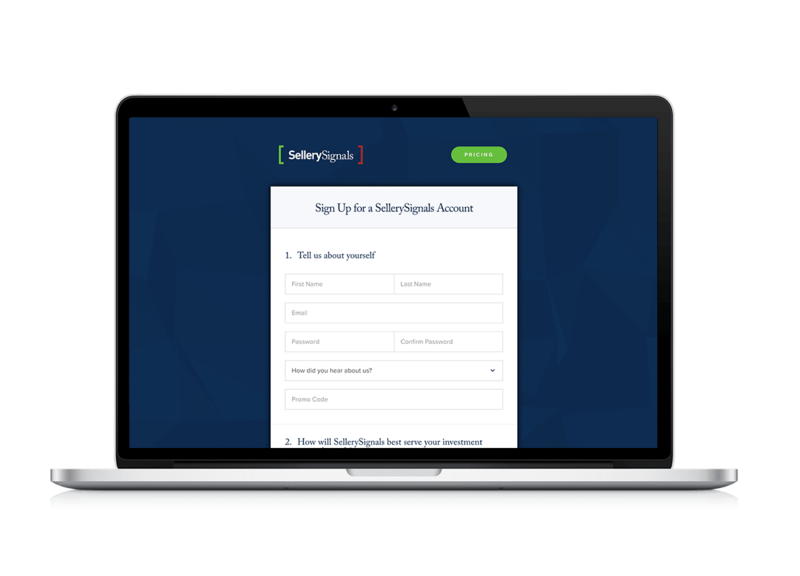 Whether you're a personal investor, Financial Advisor or Institutional Money Manager, using SellerySignals makes monitoring your Stocks positions simple and reliable. The 'Signal' is your directional point-of-action, the 'Momentum' is your gauge of directional strength and the 'Exposure' is the Signal's endorsed weighting. The approach utilizes WEEKLY price data and although the trading Signal is live and can be monitored for changes throughout the week, it is considered official Friday's at 4:30 PM or 30 minutes after an exchange has closed for the week. The 3 key icons to understand when reading your stock trading Signal. In a bullish environment, the stock trading signal will favor a 100% exposure on 'entry' signals and 50% exposure on 'exit' signals. Inversely, in bearish environments the stock trading signal will favor 50% exposure on 'entry' signals and 0% exposure on 'exit' signals. 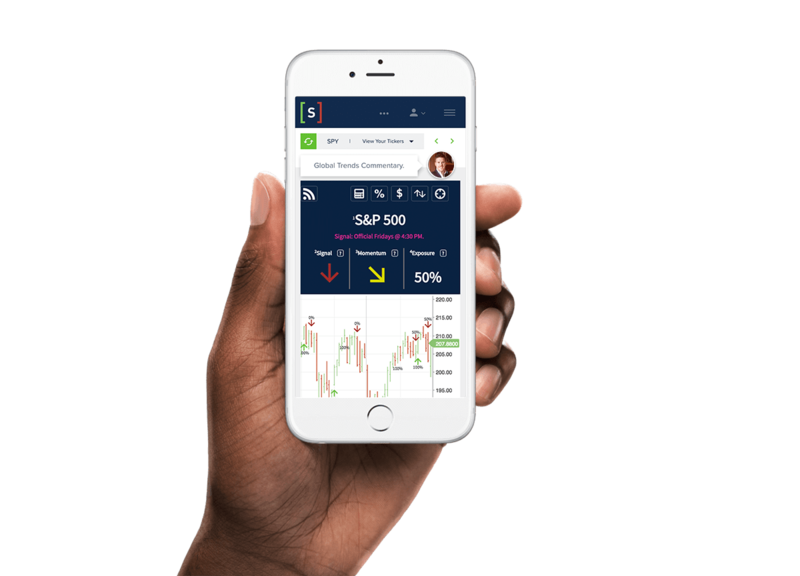 The exceptionally crafted user interface was built to empower YOUR investment trading strategy by providing you the flexibility to 'follow' the tickers most relevant to you at any given moment. Monitor the trading signal for years over your closely held Stock positions but maybe only weeks or months on the entry or exit opportunities you look to capitalize on near-term. Either way, you control the throttle and the cost, not us. Follow these 3 simple steps and begin monitoring your stock trading Signals. CHOOSE WHAT’S RIGHT FOR YOUSellerySingals gives YOU the freedom to monitor the trading signal over as many additional securities as you like. Consider adding your current portfolio's stocks, ETF and mutual fund holdings and even your 401(k) funds, if you can invest in it, you can most likely monitor it with SellerySignals. 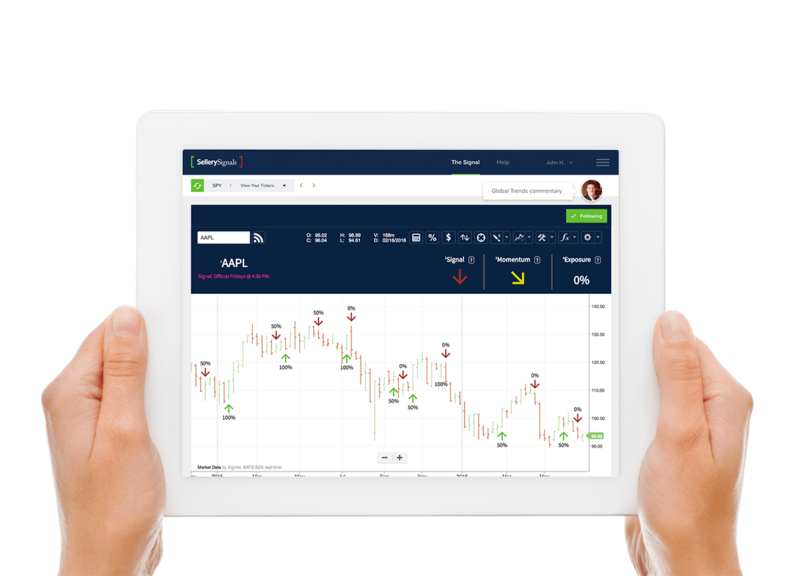 STAY INFORMED Quickly scan your stock trading Signals on the walk into your next meeting or get nerdy with the fully enriched technical analysis-based charting library over a cup of coffee. Either way, we've got you covered.